You may be divorced, recently separated or merrily single. Either way, as a single woman you face particular financial challenges. It’s important to know about them and plan for them. Gone are the days when depending on Mr. Right was the only way to secure a comfortable future as a woman. Women are now better educated and better supported to place themselves in the driver’s seat when it comes to their finances. Below we’ll cover what you, as a single woman, can do to beat the stats and proactively plan for your future. Forewarned is forearmed. It pays to know what kind of uphill battle you’re facing so you can best tackle that mountain. Despite living an average of five years longer, women retire with an average super balance of $230,907, while men retire with about twice that amount. The three main reasons for this imbalance are the gender pay gap, time spent out of the workforce to raise children, and all the challenges that come with running a single-parent household. The gender pay gap is real. And it’s big. In fact, men working full-time earn nearly $27,000 a year more than women working full-time. It sounds awfully simply, but there’s no better way to start closing that gap than by asking for a pay rise. That’s because research suggests women are less likely to ask in the first place. A recent survey of 4,600 Australian employees showed that 48% of men thought salary was negotiable at their workplaces, while only 33% women felt that way. And while it might feel less confronting to simply jump ship to another company that will appreciate you more, it’s always worth trying option A first. Just make sure you: make the request official, time it well, know what you want, and be ready to state your value. 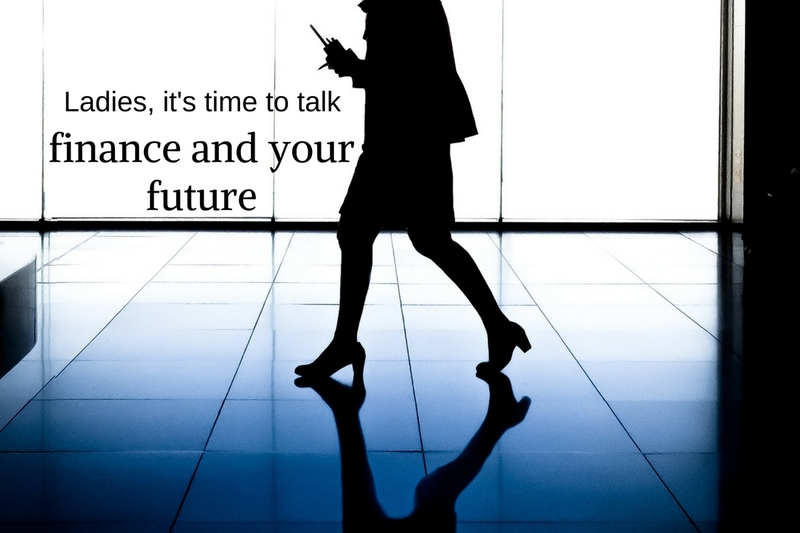 Many women make the mistake of ignoring their superannuation until it’s too late. This has led to one in three Australian women having to rely on the pension when they finish working. To avoid this, you need to take proactive steps to control your super. You can do this by consolidating your super, regularly checking your balance, increasing your contributions, and doing your homework to ensure your super fund is providing you with healthy returns. A NAB survey recently found that women across the country are “missing out on tens of thousands of dollars in savings during their lifetime because of their tendency to shy away from taking appropriate levels of risk in their portfolio”. The research showed that across all age groups, the percentage of women with a high risk allocation was just 30%, which is 7.5% lower than men. “This lower preference for risk could negatively impact women’s savings balances over multiple decades,” said NAB Asset Management Portfolio Specialist, Kajanga Kulatunga. Not only that, but the research also showed that female investors change their asset allocation 20% less frequently than men. The answer isn’t making investments you’re uncomfortable with. Instead, we can help you identify your goals, calculate your financial capacity to bear risk, and get familiar and comfortable with the best investment strategy to achieve your aspirations. Few people relish the idea of tracking their expenses, but it is one of the best ways to manage your money. You’ll be surprised at how quickly your daily spending – whether it be takeaway coffee, drinks with the girls, or ordering lunch – can add up over the weeks and months. The good news is that setting up a budget is easy. We have a handy budget planner for all kinds of personal budgets – just put in your income and expenses, and the planner will calculate how much you have left to put towards your savings. If you want something a little more in-depth, come in for a chat and we’ll be happy to help you out. There are some great resources online specifically designed to help women meet their financial goals and avoid common pitfalls. ASIC’s Women’s Money Toolkit has a fantastic range of topics, guidelines and tools, including information specifically targeting women for under 25, and for women looking after a family. Then come and talk to us. We understand the needs and risks facing women, and can help plan a future for you that’s both satisfying and secure. Brendan Barker is your Home Financing Specialist. With a lifelong passion for all things money related, a financial planning degree to help build his own financial security. After 20 years in the mining industry and financially secure, he could take a mid-life retirement to spend time with his wife and son. Starting his own Finance Broking business, he now works with other families to get their finances under control, to pay off the home loan sooner and to achieve their dreams. Talk to Brendan today 07 3911 1190, to see how he can help you save money and own your home sooner. Floating the idea of refinancing your home loan? Do your kids have the skills they need for tomorrow? Is your coffee habit adding years to your mortgage pain?